Due to federal legislation, U.S. cannabis dispensaries face the singular challenge of having to process most transactions in cash. Cash management within the cannabis industry really starts with how banks choose to manage it. Federally, marijuana is prohibited, and federally insured banks are not legally allowed to provide financial services to cannabis businesses. U.S. dispensaries however, who choose to work with local state chartered banks, will be able to deposit cash. Selling marijuana not only violates federal law, but also handling the proceeds of any marijuana transaction can be considered money laundering. In the United States, credit and debit card payments are restricted and cannabis businesses cannot legally take out loans or create savings accounts. The lack of banking access forces merchants to use cash and the volume of cash in the cannabis market is increasing rapidly. Resellers and ISVs stand to profit by offering cash management solutions to help dispensaries manage their cash transactions in this growing market. Cannabis is a big business and getting bigger. 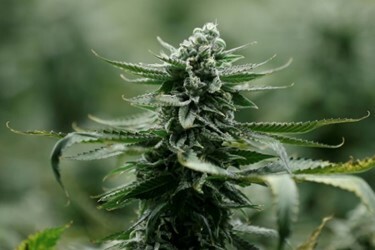 The marijuana plant, once frowned upon as immoral and dangerous, in recent years has gained wide acceptance for medicinal purposes and recreational use. While it remains a banned substance under U.S. federal law, marijuana is now legal in 21 states for medicinal use and permitted in nine states for recreational purposes as well. Meanwhile in Canada, legal sales started in October 2018 for the whole country. Boosted by the swelling wave of legalization, cannabis is creating a whole new consumer market. As such, it presents ample opportunities for technology providers to introduce their solutions to a growing market. Arcview Market Research predicts the market will expand steadily over the next decade to hit $57 billion worldwide by 2027. According to the research, North America will lead the way in expanding the market. Consumers here will push cannabis to a $47.3 billion industry in 2027, almost five times as much as the market’s size in 2017 ($9.2 billion). With that kind of growth comes innovation. Marijuana has gained favor over the years to treat a long list of conditions, including chronic pain, epilepsy, glaucoma and sleep disorders, but much of the forecasted growth will come from the recreational side. Traditionally consumed through smoking, marijuana now is available in various forms. Cannabis retail sites – or dispensaries – sell the plant in baked goods, candy, oils, fortified soft drinks, in addition to shatter and rosin for smoking and vaping.